Rabat, Morocco - Volunteers were knocking on doors in the residential neighbourhood of Agdal in Rabat on Wednesday to drum up votes amid a political malaise that has gripped the country in recent years. The volunteers were members of the Democratic Leftist Federation, a coalition of groups headed by Nabila Mounib, leader of the Unified Socialist Party, running a campaign called "vivre ensemble", or live together. "We abandoned politics because we didn't trust anyone any more and we didn't think elections could make a difference," said Fouzia El Hamidi, 60, a member of the federation who wore a white shirt bearing the image of the yellow envelope symbol that represented the coalition. "We are running a campaign of transparency and honesty." On Friday, Moroccans go to the polls to choose their local representatives. There are 31,503 seats in play and 130,925 candidacies have been submitted. Among the frontrunners are the Justice and Development Party (PJD), which leads the country's coalition government, and the Authenticity and Modernity Party, a group close to King Mohammed VI. 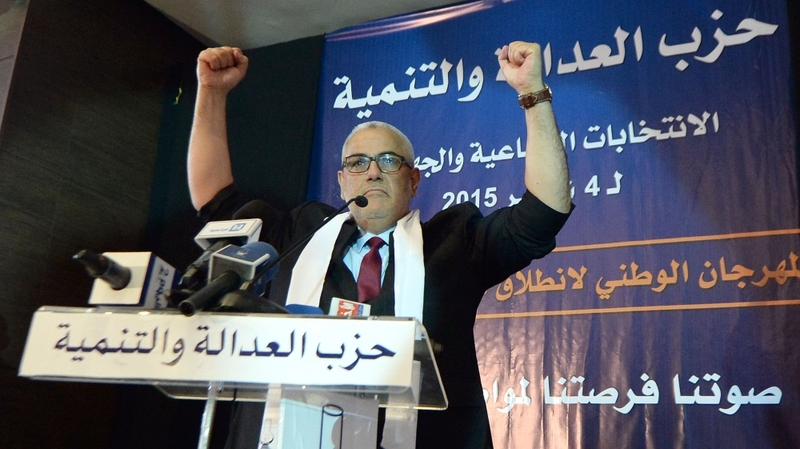 The federation's get-out-the-vote efforts reflect a new urgency in Moroccan politics. In his August address to the nation, King Mohammed urged voters to take the elections seriously and reminded candidates of the importance of their task. "There are elected officials who think that their role is to stand as candidates and not to work," he said. "And when they win the votes, they disappear for five or six years and only reappear on the occasion of the next election." The king's push has resulted in more Moroccans registering to vote. Sixty-three percent of the electorate is registered to vote. And whereas during the last election, voter turnout was about 45 percent, according to interior ministry figures, the turnout is expected to be slightly higher for this ballot. While the country has sought to implement certain reforms promised after mass protests in 2011, including a stronger elected parliament, corruption still plagues its political system. Videos of politicians exchanging money or gifts for votes have gone viral online, and many Moroccans have felt inconvenienced by hundreds of paid volunteers littering their streets with fliers and knocking at their doors all day. In a country where nearly 40 percent of the population is illiterate, it's hard for public education campaigns to change those habits. "Political parties in Morocco are now campaigning and governing in a new era of social media, which brings an accountability that has not been seen previously," said Emma Welford, country director in Rabat for the International Republican Institute - an American organisation that trains politicians in running campaigns. "If they pursue campaigns that promise realistic proposals and govern accordingly, they will be able to leave behind the destructive tactics that were seen in the past, such as vote buying and intimidation." Local and subnational elections traditionally have the lowest voter turnout in Morocco, even though that level of government most closely touches people's lives on a daily basis. Those who are socially and economically vulnerable tend to have the highest voter turnout, observers say. The PJD - which came to power in 2011 after widespread street protests calling for change in the wake of the Arab uprisings which swept the region - is managing expectations. The party's rank-and-file members love their leader Abdelilah Benkirane, a showman who still gathers large crowds at political rallies. But Moroccans know that no matter who wins, the king remains the country's supreme leader. In a recent televised interview with Al Jazeera, Benkirane declared that he didn't rule but worked under the orders of the king. Experts said Benkirane was hedging. "There is likely some concern within the party that if they keep on winning elections, then the pressure to perform will be even greater," said Avi Spiegel, an assistant professor at the University of San Diego and researcher of political Islam. "They swept into office with lofty goals - they promised, for example, to rid the country of corruption. But I doubt that most citizens see that changing. The more PJD keeps winning, the more citizens will demand results." The Justice and Charity Organisation - sometimes called Justice and Spirituality - a banned but tolerated Islamist party that many believe has the most support in the country, is calling for a boycott of the elections and isn't supporting the PJD. Its members believe Morocco's political system is on the brink of failure. Members of the Justice and Charity Organisation, as well as other groups who have been vocal about boycotting the elections, have had run-ins with the authorities, human rights groups have reported. Many of those same people embraced the 2011 protests that demanded radical change in the country, where the king is also the religious leader and claims direct descent from the Prophet Muhammad. They remain convinced that boycotting Moroccan politics is the only way to undermine the legitimacy of the current regime. "The system is too corrupt," said Omar Iherchane, one of the organisation's Casablanca-based members. "The interior ministry controls an electoral map that guarantees the regime's best interests - which are far from what the people need. Elections should guarantee freedom but the atmosphere in Morocco is everything but free. The PJD are paying a high price for very little in return." But it's not clear if their strategy will work. The PJD has been adept at neutralising opposition forces and taking positions that appeal to whichever voting blocs are most likely to sway elections. "One of the reasons PJD has been so successful is that they've repeatedly displayed an ability to adapt to political realities," said Spiegel. "They often find ways to privilege survival over most everything else - including ideology."